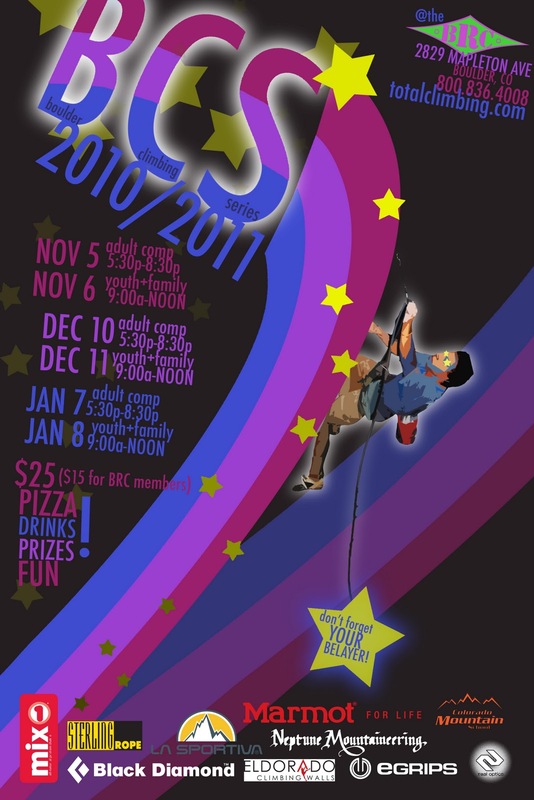 The Boulder Climbing Series is a very social and user friendly competition series. It is a great way to get into sport climbing competition, test yourself to see how your winter training is going, or just get a great workout and hang out with friends. But make no mistake, it is a competiton. There are rules, scorecards, and prizes. And let’s face it; there is something about the word “competition” that puts a little edge on things. Often enough, the pressure from even the most casual of events is enough to frustrate our efforts. Here are four things to think about that will help make your BCS experience more fun. #1 Understand the rules. Sounds like a no-brainer, but not knowing the rules is a very common, very frustrating mistake. Fortunately this pitfall is totally avoidable. Make sure that you are there for the Rules Meeting at the beginning of every competiton. Don’t be shy about asking questions. #2 Get enough scores on your card. Sounds simple, but you would be surprised at how many people miss this one. At the BCS we usually take your top 3 routes and add those points together for your final competition score. If you only have 2 routes completed by the end of the event, one of those three scores will be a ZERO! It is amazing how quickly 3 hours can zip by. I usually tell my athletes to be ready to go as soon as the competiton starts. That way they can get points on their score card sooner rather than later. #3 Warming up on competiton routes and non-competition routes. This is a biggie. Time and comp routes are limited. Should you warm up on competition routes or on the other routes scattered throughout the gym? The advantage of warming up on comp routes is that you help to ensure #1, getting enough scores on your card. The disadvantage is that you will have to wait in line for your turn, which may take a while. If you want to really play it well, put your score card in the queue and do a little bit of timing math. It takes 4-5 minutes for one competitor’s turn at bat. If there are 5 people ahead of you in line, and they are all successful on the route (a big if sometimes) we are talking about 20-25 minutes of waiting. While your score card is in line, you can be off warming up on a route that is not part of the competition. Just make sure that you make it back in time. #4 Watch other climbers. This is a REDPOINT format competition. That means that not only do you get to try routes more than once, but you also get to watch other people climb them. Other than climbing it yourself, watching other climbers is the most valuable source of information about a route that you will get. Use it. There are always several BRC staff around to help you get the most out of your competition experience at the Boulder Climbing Series. Please don’t hesitate to ask if you have questions or if you need something. This competition series is for you, and we are here to help. 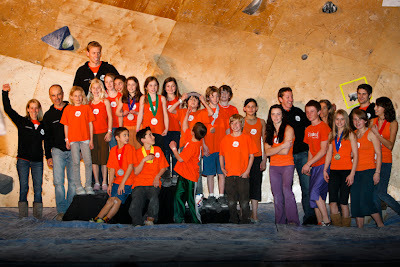 The American Bouldering Series (ABS) National was just held in Boulder Colorado last week. We would like to congratulate both Team BRC and Team ABC on a successful comp. Below are the individual team results. A huge effort by all the kids and the coaches! There are always several BRC staff members around to help you get the most out of your competition experience during the BCS. Please don’t hesitate to ask if you have questions or if you need something. This competition series is for you, and we are here to help. Team BRC Competition Double Header! Last Saturday was big. Two competitions. Two gyms. Same day. To say that it was exhausting for the kids on Team BRC is an understatement. We found ourselves meeting at the BRC at 7:30am for the drive to Fort Collins for one of our qualifying events for the ABS Regional Championships. Three hours of bouldering competition where the kids (15 of ours in total) gave it their all. A small complimentary sandwich later and we were back in the van to come back to Boulder. To relax? No. To compete. The Spot Bouldering Series event #3. Three more hours of bouldering competition. Some kids were surprised at how good they felt, others were feeling the morning’s event like a lead weight. But everyone surprised themselves at one point or another, realizing that sometimes the real effort is all in the mind. Each and every one of the kids put in a stellar effort and pulled hard for the home team. Next stop. . . ABS Regional Championships.